Growth Habit: A small erect herb that emits a strong odour when brushed. Type of Plant: Stinking mayweed is an annual. Flowers: Stinking mayweed has a daisy-like flower, yellow in the centre which is surrounded by white florets. Fruit/Seed: The majority of seeds are produced through spring and summer, although as the plant may grow at any time of the year, seed production occurs throughout the year. Dispersal: Reproduces by seed. The plant germinates mainly in Autumn and Spring but it can germinate any time in the year if there is plenty of moisture. Distribution: This weed is located on roadsides, cultivated paddocks and waste places. 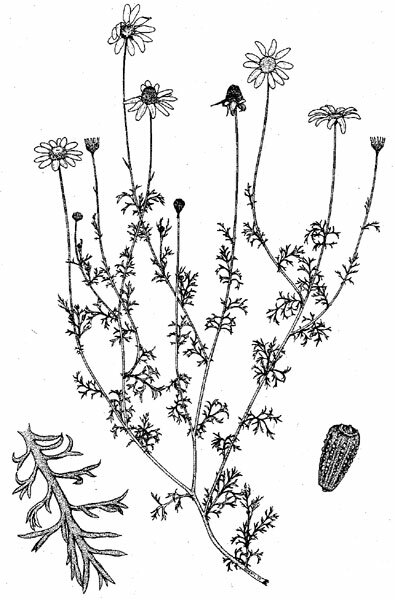 Stinking mayweed contaminates animal products if ingested, although it is seldom eaten due to its pungent nature. May cause poisoning in poultry. Grubbing. 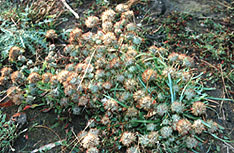 Isolated plants and small infestations can be removed using hand tools. Pasture management (all year). Maintaining a vigorous pasture and avoiding overgrazing will help control stinking mayweed. Herbicides (summer). Spot spray for smaller patches and boom spray for larger areas. Herbicides registered in Tasmania include 2,4-D, MCPA and glyphosate.